their determination was to see David made king of Israel. ‘flour, fig cakes, raisins, wine, oil, cattle, sheep, for there was joy in Israel’. Bringing Back the Ark – In consultation with his officers and commanders, David summons all Israel to join with them: ‘Let us bring the ark of our God back to us, for we did not enquire of it during the reign of Saul’. In a mad moment, at Kidon, Uzzah touched the ark to steady it, and he died on the spot, because of the ‘Lord’s anger burned against’ him. David was, in turn, angry about God’s wrath – and that is reflected in the name of the place, ‘Perez Uzzah’. It put fear back into David, and he decided at this point not the keep the ark with him in the City of David, but to pass it to Obed-Edom the Gittite, who looked after it in his home for three months, during which the family there experienced great blessing. David’s family grew, too, as he took more wives and had more sons and daughters in Jerusalem, thirteen of whom are named (including Solomon, Nathan, Nepheg). David Defeats the Philistines – The Philistines head out to attach David when they hear that he has been anointed king. David goes out to meet them, asking God, ‘Shall I go and attack the Philistines? Will you hand them over to me?’. God promises David that he will be victorious. At Baal Perazim (given this name reflecting the way God had broken out against the enemy) , David and his men defeated the Philistines. The abandoned gods of the Philistines were burned there. When the Philistines raided that valley again, David asked God again, but this time God said, ‘Do not go straight up, but circle round them and attack them in front of the balsam trees.‘ They are to listen out for the sound of marching at the top of the trees, indicating that God had marched out in front of them. Again, David is victorious over the Philistines as he obeys God’s instructions. Paul’s particular ‘ambition’ has been to ‘preach the gospel where Christ was not known’, preferring not to be building on someone else’s foundation. The real heart of the evangelist – to bring the good news to those who have not yet heard / responded. It can always appear easier / more appealing to start from scratch with people rather than to build on something someone else has already established. Paul’s Plan to Visit Rome – Paul senses that he has completed his tour of new places, and he is very keen to get back to seeing the Roman church. It’s in his travel plans when next in Spain, to go to Rome and spend some time there before they help him onwards with his travels. First, he says he is going to Jerusalem ‘in service of the saints there’, taking with him the generous offerings for the poor from the churches in Macedonia and Achaia. ‘If the Gentiles have shared in the Jews’ spiritual blessings, they owe it to the Jews to share with them their material blessings’. It is heartwarming to hear Paul’s affection for the Christians in Rome, his keenness to see them again, ‘to be refreshed’ along with them, and to urge them to join with him in praying for his ministry (God’s ministry through him / them). ‘Return to dust, you sons and daughters, human beings’. A millennium like a momentary night shift. morning fresh, yet withered by evening. Your disapproval could petrify us. brought into Your light, nowhere to hide. from life’s first breath, to its final sigh. time flies, and we fly away too. and the greatness, the timelessness, the perspective Your life in us can bring. 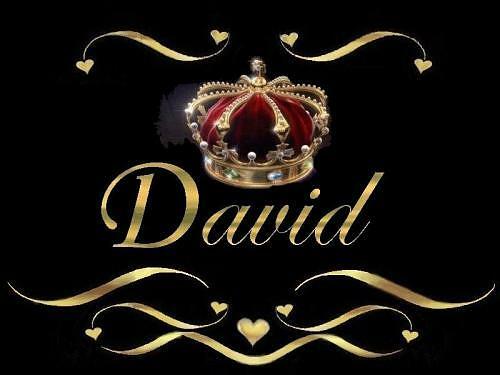 David Becomes King Over Israel – After the death of Saul, ‘all Israel came together’ and acknowledged that David had been their military leader already during Saul’s reign, and the promise that ‘You will shepherd my people Israel, and you will become their ruler‘. As the nation celebrates our Queen’s diamond jubilee, 60 years of faithful service, it has been good to remember the moment when she was anointed and crowned. David had pledged that the person who led the attack on the Jebusites would be the ‘commander-in-chief’. He kept his word, and Joab, son of Zeruaih, became commander. David occupied the fortress, the City of David, building up the city and its terraces. There’s a strange story (v.15 -19) about David sending three of the chiefs to fetch him water, and them risking their lives going into enemy territory (Philistine garrison at Bethlehem). When they return with the water, David can’t bring himself to drink it, because they had risked their lives for it. Instead he pours it out as an offering to the Lord…. The comparison in my mind was with the blood of Christ, who risked everything for us, being shared in communion as Jesus insists ‘Drink this, all of you’. Jesus, Himself, entered enemy territory to bring us the water of life. he was put in charge of David’s bodyguard. Hurai from the ravines of Gaash; Jonathan son of Shagee the Hararite etc. etc. Warriors Join David – next, there follows a list of those who were with David at Ziklag, when he had been banished by Saul. They helped David in the battles, and were Benjaminites. Their chief was Ahiezar, and a list of names is given. When David was in his desert stronghold, he was joined by some defecting Gadites (brave warriors, skilled in handling spear and shield, faces like lions, swift as gazelles). Eder, their chief, is listed along with the ten ‘next in command’ Gadites. 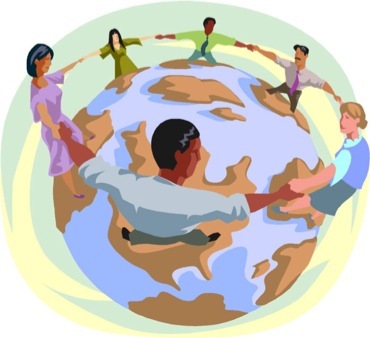 Even today, God’s Spirit urges unity and allegiances for / towards those God has raised up. What an encouragement this encounter must have been to David. David also attracted some of Manasseh’s fighting men, during the time David went to fight alongside the Philistines against Saul. They are listed, as leaders of units of 1,000 men in Manasseh, and are known as brave warriors. ‘Day after day men came to help David, until he had a great army, like the army of God. ~ be soaked in Scripture : ‘everything that was written in the past was written to teach us, so that through endurance and the encouragement of the Scriptures we might have hope’. ~ Jesus is servant and Lord of both the Jews, and through fulfilling the promises to the patriarchs, the Gentiles, who ‘glorify God for His mercy’. 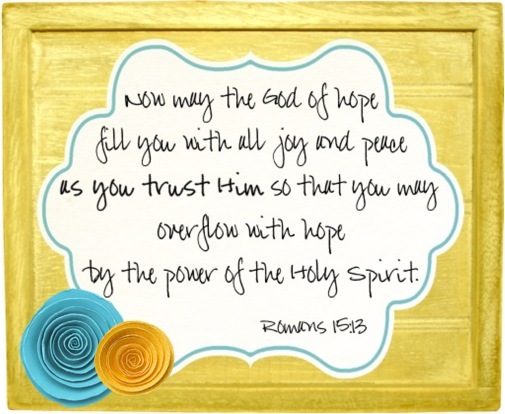 O, Lord, overflow within us Your hope, joy and peace and power, for the sake of Your Kingdom on earth. and for how long will You remain hidden? How long will You be ablaze with anger? I won’t be around much longer, Lord. Don’t our fleeting lives mean more to You than this? No-one lives forever. No-one can avoid death. Your faithfulness, promised to David. the mockings, the taunts from people and whole nations. Mocking every little step Your servant has taken. I will PRAISE You, my Lord, my God. 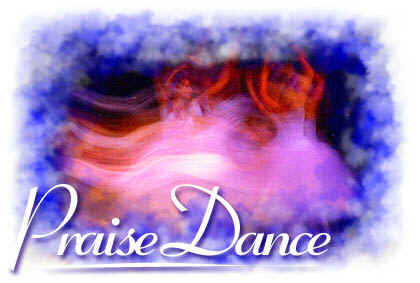 I will PRAISE You for ever and ever. The first re-settlers were some Israelites, priests, Levites and temple servants. The Benjaminites, and those from Ephraim and Manasseh (who lived in Jerusalem) are listed. 690 from Judah, 956 from Benjamin, 1760 priests (‘responsible for ministering in the house of God’). 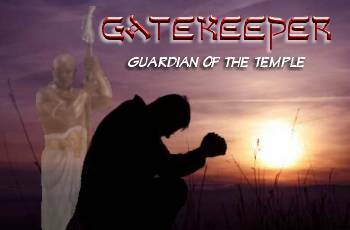 212 gatekeepers (including Zechariah, who ‘was the gatekeeper at the entrance to the Tent of Meeting’) – each entrusted to their positions by David and Samuel. Various gatekeepers had different responsibilities: counting the artifacts, looking after the furnishings, the oils and spices. Mattithiah was the offering-bread baker. The Genealogy of Saul – Once again, Saul’s family line is traced. Jeiel…Gibeon (with his wife, Maacah)…Ner…Kish…Saul…Jonathan…Merib-Baal…Micah…Ahaz…Jadah…Zimri…Moza…Binea…Rephaiah…Eleasah…Azel. Azel’s sons are listed: Azikram, Bokeru, Ishmael, Sheariah, Obadiah, Hanan. Saul Takes His Life – In the battle between the Israelites and the Philistines, many Israelites were killed on Mt Gilboa, including Saul’s sons Jonathan, Abinadab and Malki-Shua. Saul himself is wounded, too. He urges his armour-bearer to finish him off, but he won’t. ‘So Saul took his own sword and fell on it…the armour-bearer…too…fell on his sword and died.’ All Saul’s household fell on that day. The Philistines celebrated a great victory and took many towns. The Philistines took Saul’s body, decapitated him, and took his armour in the temple of their gods. His head was hung up in Dagon’s temple. Saul’s body (and those of his sons) is retrieved by those who lived in Jabesh Gilead, and there is a proper burial and period of fasting / mourning, ‘under the great tree in Jabesh’). In contrast to the faithful gatekeepers, Saul lets his kingdom slip through his fingers. Time to hand the keys of that kingdom to a new king, David. The Weak and the Strong – Paul has advice for accepting those with weak faith, without being quick to judge on ‘disputable matters’. The issue he picks out is vegetarianism, pointing out it is a principled issue for some, but not all. Neither view should look down on, or condemn the other. Other disputes might include ‘one day is more sacred than another’ – ‘He who regards one day as special, does so to the Lord’. Jesus, having passed through life and death, and returning to life, is ‘Lord of both the dead and the living’. God is judge, so we should not find ourselves judging our brothers. ‘As surely as I live,’ says the Lord, ‘Every knee will bow before me; every tongue confess to God’. There is a day coming when we shall all stand before God and account for our lives. Casting lots can be used to settle difficult disputes. Offense and disputes create strongholds, stronger than fortified cities and padlocked citadels. Just as the mouth is the vehicle for food for the stomach, so the words that flow from a person’s mouth can satisfy. THE TONGUE HAS THE POWER OF LIFE AND DEATH…and those who take care over it benefit from its fruit. Wives are a good idea…a God idea…His blessing. Listen…to the merciful cry of the poor…and the cold harshness of the rich. Better to be poor and right-living, than to have mouths filled with a lot of foolish nonsense.